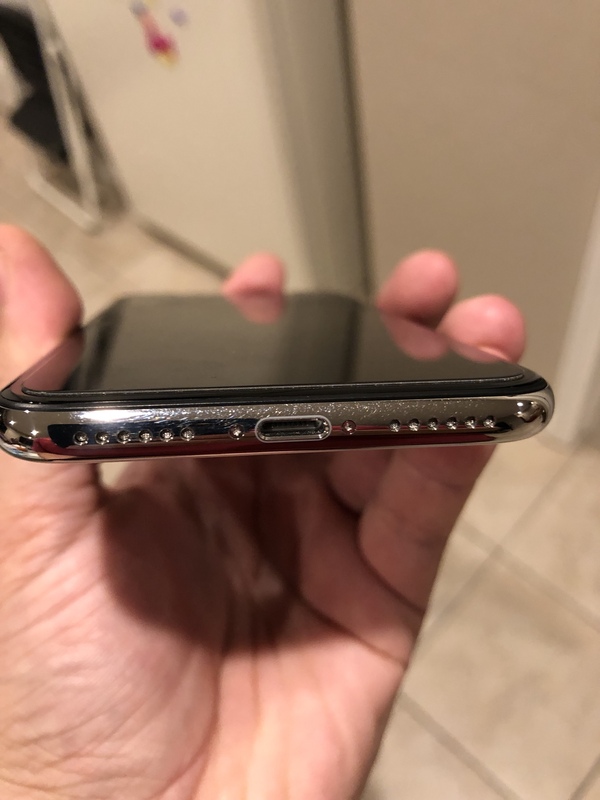 Does the silver scratch easier than the space gray? Just something I was wondering as it seems like a lot of people with the silver are complaining about scratches on the shiny edges. I put a case on my silver on day one. A week later and it’s scratched the silver band. So it does look like the silver scratches easily. I’m hoping it will polish out. 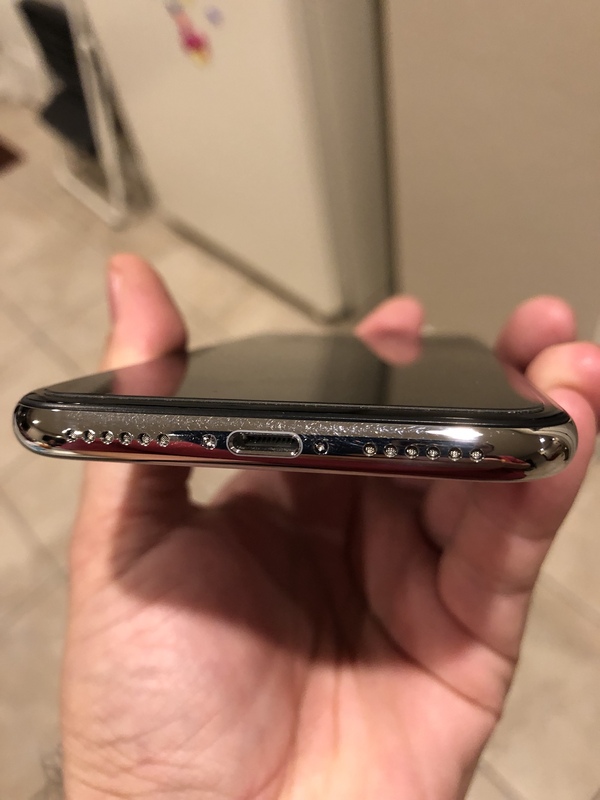 I’ve had my silver iPhone X for 8 days, and there’s not a scratch on it. Just saw this video where the guy says the Apple leather case scratched the sides of hie silver. I'm so bummed. The back of mine is kinda scratched up now. I had to take my X back to TMo b/c they screwed up putting my screen protector on. When the rep did the redo she laid it on a mouse pad. I didn't think much about it. Put my case back on about 30 minutes later. Then a couple days later I took my case back off and there's all these small scratches on the back glass. I wouldn't care if I had been going caseless and was my doing. But I'm pretty sure it's from her rubbing the microfiber and using the rubber bubble remover back and forth with decent pressure. My phone was sliding back and forth on the mouse pad, but again I didn't think about it at the time. Ugh. That’s a total downer. The glass is beautiful and all, but I’d much rather have something more durable that won’t scratch up so easily. recDNA and tadpoles like this. Check this video at 3:25 where he shows the two watches. Yes it does. My wife’s is scratched all up on the bottom since it open due to Apple leather case good think she has a replacement phone coming. No more Apple case for her. I have always put a Apple OEM leather case on every iPhone since the 4 series and never had an issue with damaging the device. But I take very good care of my phones and most look as good as the day I bought it even after I have used it for a year. Just the way I am. nr2d, jrdfox and LCW like this. Stainless steel gets micro scratches on it fairly easily. The space gray does it too, it just isn’t as easy to see because it’s darker. It’s no different with the Apple Watch. I’ve had every version of the stainless steel watch and it always gets scratched up and I baby them. Ugh. That’s a total downer. Yeah, I'm not happy bout it. Same here. I️ have an Apple leather case on my X now. I’m afraid to take it off and look. It would make me sad and mad if it was scratched up. Have never had an issue with the Apple cases in the past. I have the slate grey model and have taken the Apple leather case off a coupe of times and no scratches. Nothing to worry about. The space gray will hide scratches much more than silver. If you have silver, it’s something to worry about. When my wife gets home, I’ll post pictures of her phone. Interesting advice sir, thanks for the heads up. I am wondering if this is an issue with all the silver models or a selected few? Maybe a bad production batch? No. It’s just stainless steel. Scratches super easy. Just like silver SS Apple Watch. Scratches real easy while my space black shows none. Thanks for the tip, I am looking at buying a stainless series 2 or 3 42mm iWatch. Should I go with the regular and black stainless model? I’ve had stainless space black watch for about 8 months. Looks mint. My wife’s SS shows a ton of scratches. Me personally, I’d go space black. It will look better for much longer. Now I have the silver X. Shows a few light scratches. But I went with silver because I was able to get that shipped for launch day to where I could not with space gray with T-Mobile. I didn’t want to wait so I’ll deal with it. I was very lucky to get my space grey model from T Mobile on preorder day. I had ordered the silver model and they sent me a space grey instead which I actually like more now that I have it. Looks like I will go with the stainless black iWatch and hopefully I won’t have any issues. Thanks for the information. That’s why I love this site. I spend most of my time between here and the CrackBerry forums where I am a ambassador. I also have a KeyOne I use. I am really liking the X and has become my daily driver since I got it on launch day. I first ordered with Apple. Got my order in at 12:08 ams pst on the 27th. It was 2-3 week shipping. So at 11:30 am that same day, decided to check T-Mobile site. And only silver had a 11/3 to 11/10 ship date. So I placed that order too. Two days later, I had tracking from T-Mobile for a 11/3 arrival date so I cancelled my space gray order with Apple. I wanted it on launch day. Didn’t matter the color. But I would have preferred space gray if that was an option. I do think the polished stainless steel on the silver is more visible when it comes to scratches. I was just happy to get the X period. I had my device selected in my Apple store app and was up at 2:45 on preorder day and hit buy at 3:05 and I came back with 2-3 weeks delivery and I couldn’t believe it only 5 minutes in and I receive that delivery date. So I went to the T Mobile website and was able to order one and got my email saying my order was confirmed and then received my tracking number and the space grey one showed up at my door on launch day and I was a happy man. Going to order another space grey one for my nephew for Christmas tomorrow and hoping to get it in 2-3 weeks. Now it’s order and wait and see. This is wife’s after 8 days with an Apple case and it being open on the bottom. What’s the proper icon for contacts in iOS 11? Was looking at something on google search and the screen got dim. The brightness was all the way up. The epic Thrifter doorbuster is here!